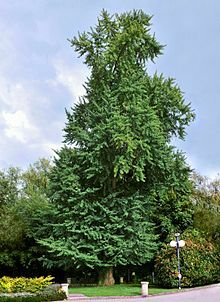 The above tree is Ginkgo biloba (wikipedia, 2015) , a mature tree, Result of experiment and research showed there are many advantages and benefit for health. Benefit of Seed Egg Fruit is similar Ginkgo After we posted or browsed in the internet and saw for the benefit of agricultural product. Indonesian Institute of Sciences (LIPI) said, seed egg , including the evolution of ancient Ginkgo biloba close to the plant in Japan. This reason also makes Japanese people are interested to develop. Advantages and benefit of Ginkgo is the oldest species of trees that have been grown for 150 to 200 million years old and is believed to be a brain tonic for strengthening the memory. the advantages of Ginkgo leaves have strong antioxidant properties and contain an important role in the oxidation of free radicals that cause premature aging. However, it is not just an ancient plant that makes researcher interested in examining the plants that grow in Southeast Asia, but its resistance to disease, good bacteria, mold, and dust mites. Over the past two years studying the seed egg, researcher has examined the interaction between starch and lipids in the seeds egg, egg protein stability against heat and phenolic content, as well as the source of flavonoid antioxidants. natural antimicrobial. Until now, doctors in biochemistry from the University of Osaka Prefecture, Japan had isolated two types of proteins that show high antioxidant activity. From all parts of the plant the seed egg (Indonesian called it melinjo) extracted, ranging from the leaves, bark, roots, and seeds, found most potent protein from the seeds. Research shows that the antioxidant activity is similar to the synthetic antioxidant BHT (Butylated Hydroxytolune). Of the two protein fractions, it was found the other functions as a natural antimicrobial egg. That means the egg protein can also be used as a natural food preservative as well as new drugs for diseases caused by bacteria. Gg-AMP peptides isolated from the seeds of a potential active egg indicated to inhibit several types of gram positive and negative bacteria. In the left side is Figure of mature seed egg. Healthy snacks To get the benefits, seed egg can be eaten directly by boiling and used as a snack, or as a mixture of vegetables. It was also recognized used as medicinal plants. Researcher often utilizes seed egg as an ingredient to increase endurance. "The way is to boil it, such as boiling beans or mixed vegetables made ​​with tamarind leaves. People are not many know that the seed egg has antioxidant functions, which are known to be high purinnya new content and can cause gout, "he said. Just Boiled or Prepared soup - No complicated actually to take the benefit from egg capsules. Just boil, as boiling beans, mixed vegetables and making acid or vegetable soup "lodeh". Because the seed egg benefit is the seeds, how to eat them is quite easy. Can be eaten directly (made ​​meals or snacks) after the skin peeled. - Choose the egg is actually no specific benchmark. All types can basically be utilized. If you do not want to get seeds that are still very soft, you can choose a young egg with green skin. Instead, an old egg aeneous seeds quite a bit harder. - If you have high purine levels or risk of uric acid (gout), you should not eat too much egg. The recommended dose of normal consumption, just a handful of beans boiled egg per day. Remember, before being boiled egg capsules should be washed until completely clean to avoid any disadvantages of side effect and to get the perfect advantages and benefit of Seed Egg Fruit for the Health.